When Apple CEO Tim Cook visited the Waukee Innovation & Learning Center, part of the Waukee Community School District west of Des Moines, Iowa, last fall, he called the building a “model for the country” and said he hopes every student in the America has the chance to learn in a similar environment. 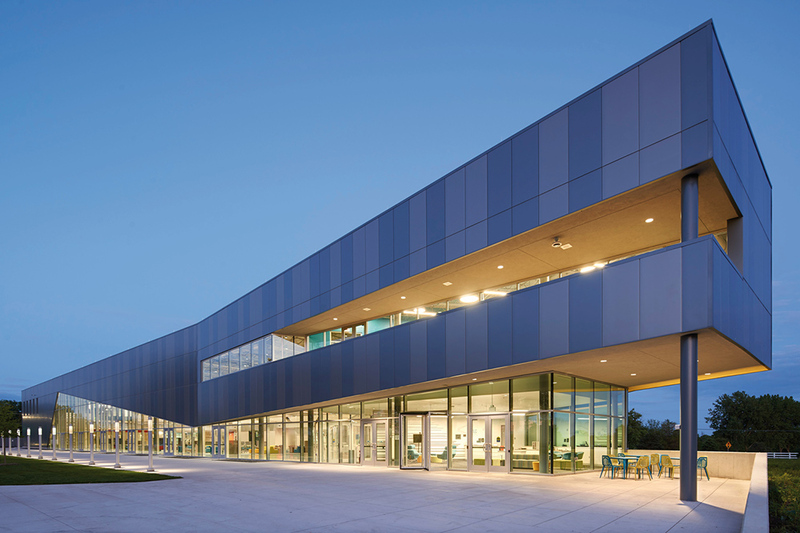 Cook may have given what is affectionately known as the WILC high praise, but the success of the high-school-specific space comes as a direct result of merging programming and architectural design. Opened last September, the WILC combines education and business by housing Waukee’s Aspiring Professional Experience program, where students partner with local companies across finance, engineering, technology, health services, biosciences, and added-value agriculture to work alongside businesspeople and solve problems. The program was born out of growing needs in the business community and space issues at Waukee High School. 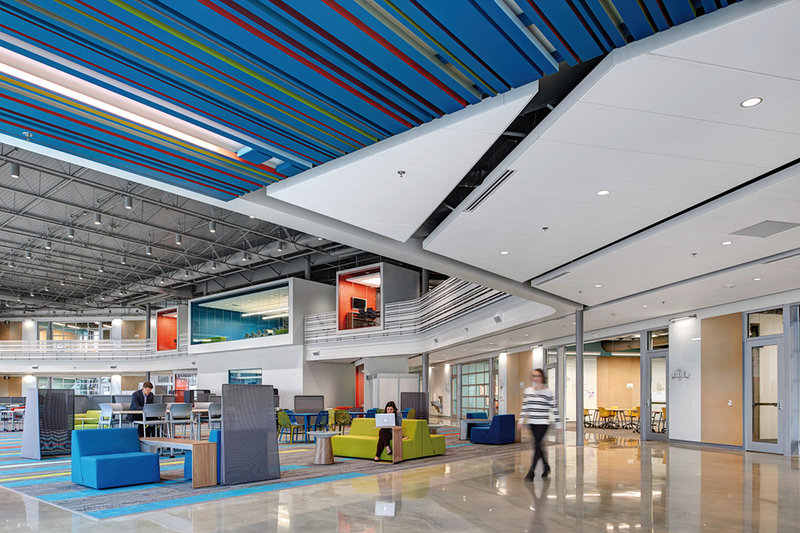 Instead of immediately building a second full-size high school as demand for space approached, Waukee started the program and then worked to design a building to match, forcing the WILC, designed by CannonDesign in association with Invision, to devise flexible space as they created a 70,000-square-foot building for a program that was still forming and adapting. But that was OK, as Cindi McDonald, Waukee superintendent, says the curriculum in the program will change annually, requiring the building that houses it to have the ability to morph with the students and the school. The central focus of the building is a central co-working space for more than 100 students. Its triangular shape provides natural light while classrooms, labs, and student break-out spaces flow around it. 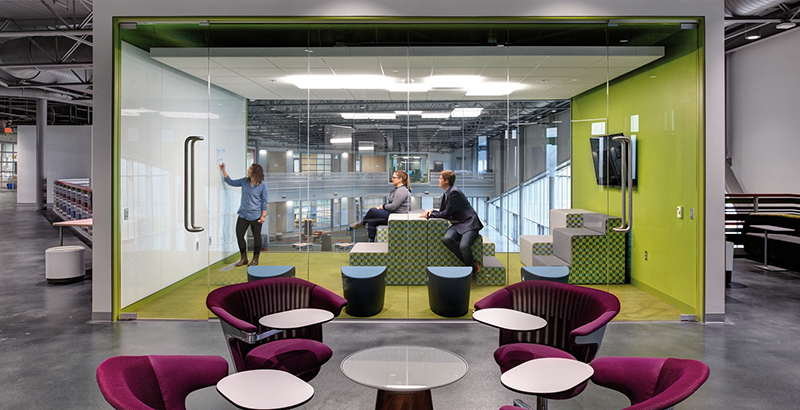 The two-story design has alcoves on the upper floor for students overlooking the central area, while down below, classrooms and labs have garage-style doors that often remain open onto the co-working space. The WILC was built to handle 500 students at a given time. With 400 attending classes there over the course of a school day this fall, the space has plenty of room for the program to continue its growth. Relationships were key, not just with the students and teachers but also with the outside business community that helps define the program. To embrace those relationships, the WILC includes spaces for business partners to come and work or meet with students, and the furnishings can move to fit the needs of the day. 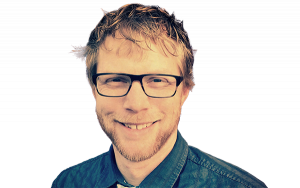 McDonald regularly sees groups of two to four students sitting together working, adults (both teachers and community members) and students collaborating together, and the power of informal relationships driving learning through these times. Weig cautions that the Waukee model isn’t something that you can plop and play anywhere in the country, as it needs the proper program to support the design. Weig, who returns to the WILC on a regular basis to check in with students, says she continually learns from how they use the common areas, leave the classroom doors largely open, and congregate in enclaves while remaining connected to the larger group.